Considering the damage being done by climate change already, it's remarkable to me how many people still don't understand its threat or that they contribute to it, inadvertently though that may be. Understanding why people are reluctant to embrace the need for change can help us find ways to help them get past those hurdles. Florida offers an excellent example of the stubbornness of climate deniers. 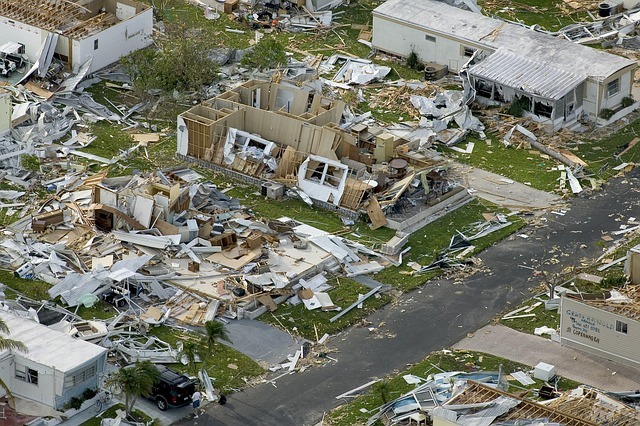 On October 6, 2018, the state was hit by one of the biggest storms to hit the U.S. ever, Hurricane Michael. As a Category 4 typhoon, Michael increased in power as it passed across the increasingly warm waters of the Gulf of Mexico. Warm sea water temperatures fuel these mega storms and, on the day that Michael landed, the Gulf's surface temperature was over 29°C, well above the average sea temperature of 17°C. Michael did an enormous amount of damage, killing at least 43 people and forcing the evacuation of 375,000 more. It wiped out 2.8 million acres of agricultural and forested land (including 350,000 acres that suffered catastrophic damage), as well as almost $1.5 billion in crops. Most of the state's 2018 cotton crop was lost as was 80 to 100% of its oyster industry. As of January 2019, more than 137,000 insurance claims had been filed, for an estimated value of almost $5 billion. However, despite the massive devastation of its industries and economy just weeks before a general election, Floridians still elected a climate denier as now-Governor, Republican Rick DeSantis. During his election campaign, DeSantis noted that, although "it seems reasonable" that climate change may have contributed to the red tide bloom that was killing off birds, sea turtles, manatees, and other water-dwellers off of Florida's beaches, in his opinion, the more likely culprit was 'nutrient pollution' from agricultural runoff from regional lakes and rivers. While his assertion sounds rational, DeSantis is wrong about the science that explains red tide blooms. Research reveals that there is no direct demonstrated link between the bloom and the runoff. Instead, red tide bloom only flourishes in certain biological conditions, including heightened water temperatures. While agricultural runoff can contribute to the severity of a bloom, its presence alone doesn't trigger a bloom. So why would DeSantis and millions of other Floridians simply ignore the science? In my opinion: fear. The average Floridan may fear losing all they own if climate change is accepted as the threat that it actually is. Making changes to account for climate change may threaten their livelihoods and lifestyles, and it's easier to ignore the concern and live optimistically in the past. Also, from an individual's perspective, one person can't make too much of a difference when whole industries are pumping temperature-cranking toxins into the air and water. Maintaining the status quo offers peace of mind so folks can get on with their lives without having to sweat too much about something over which (they believe) they have no control. Tragically, that complacency is a threat in and of itself. The ignorance and refusal to act by people in power and those who elect them, threaten all of us. So how do we change their minds about the realities of climate change?